It’s that time of the year again – with less than two weeks to go to Mother’s Day, most of you would be scrambling to make some special arrangements for the most important woman in your lives. 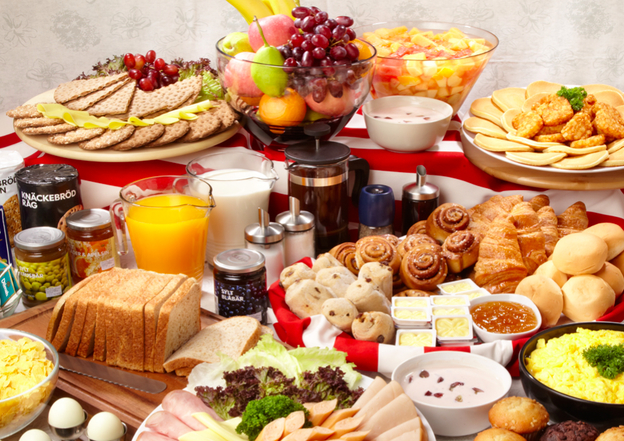 What better way could there be to bond with your mother than over a sumptuous spread of food? She deserves it all the more if she has been painstakingly cooking all your meals for you since day one. So, this Mother’s Day, let your mother hang up her apron and treat her to a delectable meal. To simplify the task for you, we have put together a list of five restaurants which are offering special menus for Mother’s Day. Take your pick (or mum’s) from one of these enticing deals and make reservations as soon as possible to avoid disappointment! Bon appetit! Wouldn’t you love to celebrate this Mother’s Day amidst fresh delectable offerings at the luxurious Quayside Isle? How about indulging in some Mediterranean cuisine with your mother and loved ones against the stunning tranquility of the marina? 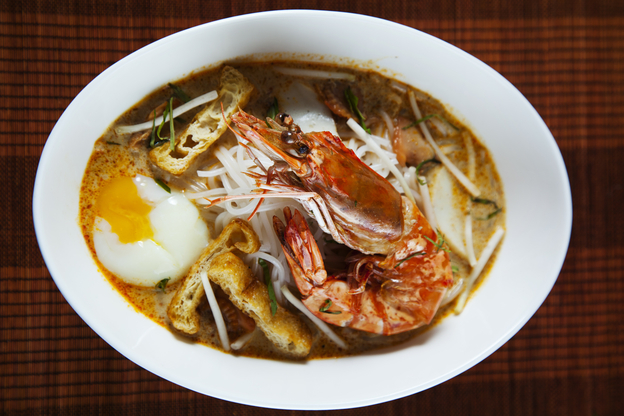 Miska Cafe originated with the simple notion of wanting people to experience fresh and healthy flavours all the time. They also ardently believe that nothing quite brings people together like good food! 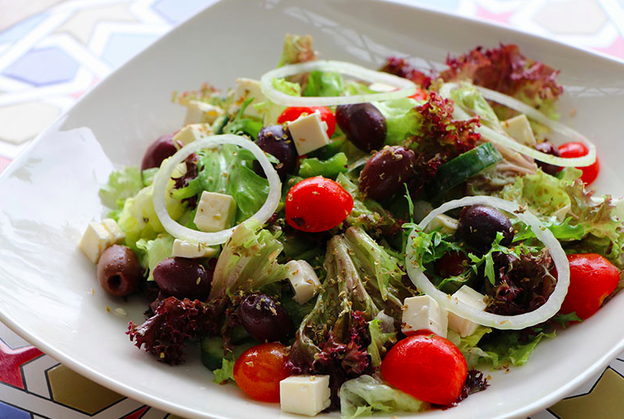 (we approve) Miska Cafe is the perfect option for calorie counting mothers, for they offer an array of wonderful salads, some of which include Smoked Salmon Salad ($18++), Greek Salad (above, $18++) and Caesar Salad ($15++). For mothers who are putting aside the calorie counting for this special day, would you care for some lovely Mediterranean style pizza? 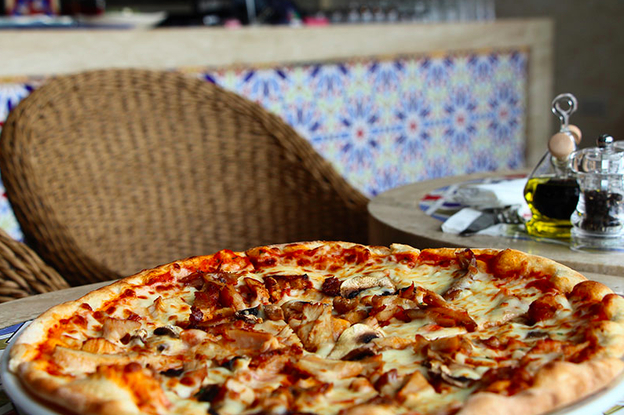 Take your pick from Veggie Pizza ($22++), Turkey Mushroom Pizza (below, $22++) or the classic Margarita Pizza ($18++)! Also, pamper your mother with a decadent sweet treat from Miska Cafe this Mother’s Day; all mothers dining in will receive a free scoop of ice cream for dessert, with a choice of one of three flavours! (strawberry, chocolate or vanilla) Sweet! This promotion is only valid on 10 May 2015. Originating from Florence, Italy, Procacci Singapore at Customs House offers serenity and an astounding view overlooking the Marina Bay skyline. Italian fine dining cuisine is taken to higher standards with exquisite food paired with a wide selection of premium wines. Apart from the intimate dining experience which it offers, Procacci Singapore is the perfect place to celebrate Mother’s Day if your mum is a fan of authentic Italian fare. 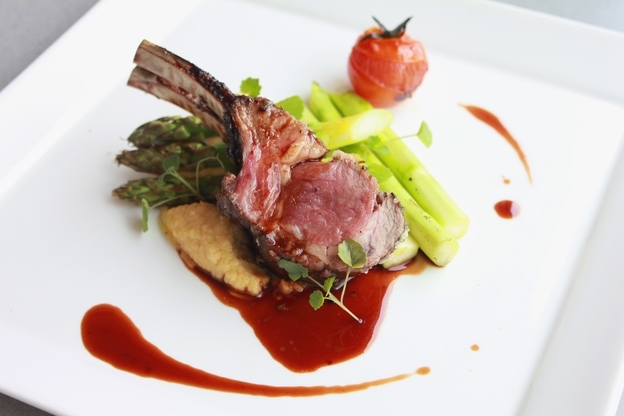 Take her on a memorable Italian culinary journey over a three course menu. The meal commences with a Grilled Italian Octopus Salad, followed by a choice of either Scallops with Green Pea Risotto, Cod Fish with Mixed Beans or Lamb Chops with Grilled Asparagus (below). A side table presentation of the preparation of dessert – a flambé mix of berries, banana, green apple and vanilla gelato – will end the celebratory meal with a bit of fanfare, which mum truly deserves! Priced at $88++ per head, Procacci Singapore’s Mother’s Day menu is only available for dinner service on the 8th and 9th of May 2015. This classic Italian restaurant promises the best of atmospheric ambience and a simply divine selection of its native gastronomical delights! Is your mother a true blue fan of all catches fresh from the ocean? And is yours a family of four? If so, Manhattan Fish Market is the perfect eatery for your family to celebrate Mother’s Day at! 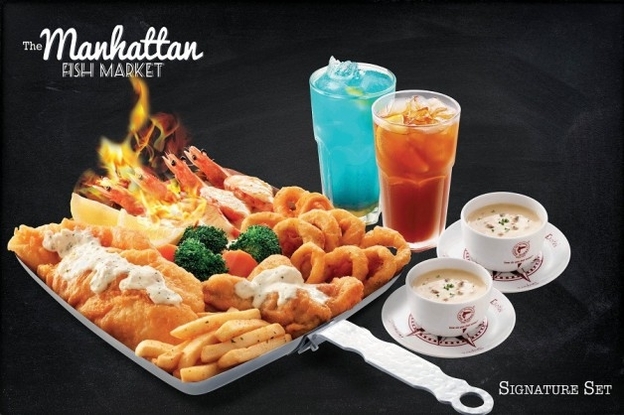 For just $99, enjoy the Ocean Queen Set, which will fill four hungry stomachs. So what’s on the menu? A Grilled Gala (juicy fish fillets, tiger prawns, calamari and garlic herb mussels), a Volcano Island (fried scallops, poached spicy dory nuggets, mussels, crispy baguette and a choice of slipper lobster or tiger prawns), Summer Shroom (mesclun salad), Fried Country Mushrooms, Crispy Whitebait, four Chowders of The Day, four Gummy Bear Mocktails and a complimentary Sizzling Banana Fritters with Ice Cream. If it’s just you and your mother dining, you could opt for the Star Queen Set, which serves two, for just $49. You will get to savour Salmon & Chips, Mediterranean Baked Fish, Onion Glory, two Chowders of The Day, two Gummy Bear Mocktails and also get to enjoy the same complimentary dessert which the Ocean Queen Set offers. The restaurant is also offering an early bird special; if you make your reservation by the 30th of April, you will receive a personalised Mother’s Day card to present to your mum! This offer is valid for the first thirty reservations only, so hurry! To personalise your card, select a clear family photo taken in landscape format and email it to the following address: marketingag@manhattanfishmarket.com at least one week prior to your reservation date. Remember to include the following details: name, reservation date, time & outlet and contact number. The Mother’s Day dine-in promotion is valid from the 1st of May to the 10th of May 2015. Alkaff Mansion Ristorante serves authentic Italian cuisine within a historical colonial mansion first erected in 1918. 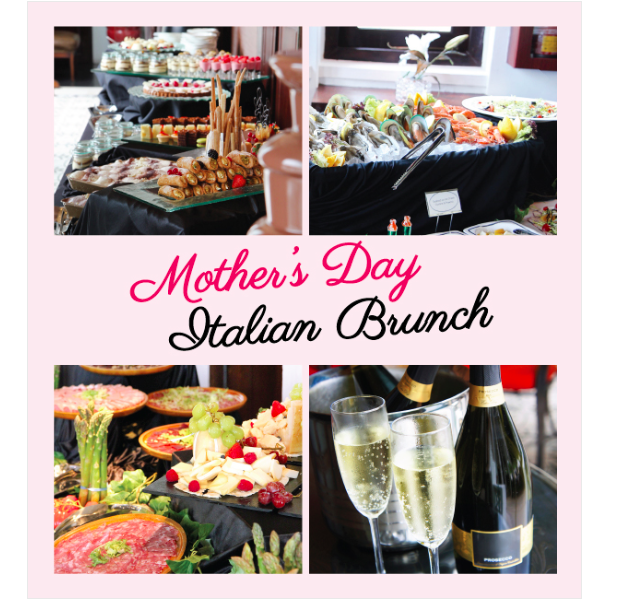 Celebrate Mother’s Day here by giving thanks to the most significant lady in your life over a vast Italian spread at the Prosecco brunch buffet. You can expect Italian delicacies which are traditionally crafted from famed Italian regions such as Sicilia, Calabria and Puglia. Specially handcrafted by Executive Chef, Simone Depalmas, revel in a tantalising feast that will nourish your mother’s health and skin. The highlights of this brunch include a free flow of Prosecco, white and red wines, Seafood on Ice, Veal Loin in Tuna Sauce, Baby Octopus in Spicy Tomato, Italian Burratina served with Parma Ham and Slow-cooked Whole Lamb with Herbs. You will also receive an exclusive gift of carnation flowers to sweeten your mother’s day with! The brunch buffet is priced at $98++ for adults and $58++ for children aged between 5 to 12. This promotion is only valid on the 10th of May 2015, from 11.30am to 3pm. Make your reservations as soon as possible as seats are limited! Take your pick from these five restaurant selections, and cherish the ensuing memories formed with your lovely mothers! Happy (advanced) Mother’s Day to all mothers! All images are courtesy of their respective restaurants. Uma Nathan is a sub-editor at SingaporeMotherhood. When she's not occupied with writing about breastfeeding and children's parties, she's probably sipping a latte at a quaint cafe, procrastinating on writing her novel or wondering why her beloved Liverpool FC have not won an EPL title since she was born. 10 Tips for Fuss-Free Kids’ Birthday Parties!